The first card I ever posted on a blog! Using supplies from my new starter kit in 2008! 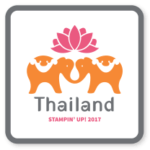 So, I had to take some time to sit and reminisce…..
How I only went to my first “stamp camp” because my friend was starting something new and I wanted to support her, but I had no idea what a stamp camp even was! Eventually convincing my mom to sign up instead of me because I knew she was great at teaching other sewing and craft classes and she was looking for a way to earn a bit of money. I told her I could be one of her customers! Seeing all the perks and discounts she was getting, I thought she was pretty lucky but by then I had moved to Oklahoma and literally only knew my husband’s co-workers and their spouse. I went ahead and hosted a card class with my mom as the long distance demonstrator and realized how fun it was running the event and not nearly as hard as I thought! Fun + Discounts + Sneak Peeks and Early Access to new releases = I was totally sold! 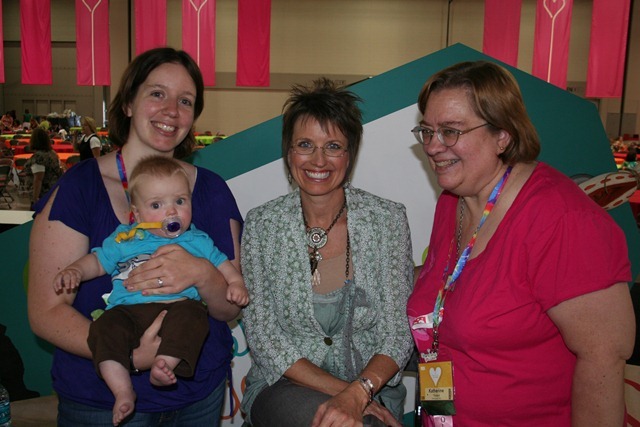 Me, my son, Shelli Gardner, and my mom at the 2010 Stampin’ Up convention! What started as a way for great discounts, has turned into so much more. I am so grateful for all the friends I’ve made over the last 10 years and the experiences I never would have been able to have if I hadn’t decided to take the plunge and become a demonstrator. Here are some fun stats from my last 10 years. 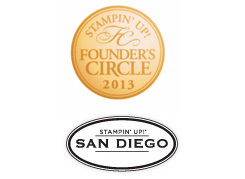 Gone to 12 Stampin’ Up Conventions/OnStages! And had times where I’ve stepped back and taken more time for my family, and other times where I really pushed extra hard in my business. Been blessed with more friendships and getting to meet amazing people than I could begin to count! Day 1 Giveaway – WIN a FREE set of Petal Pink Rhinestones! Leave a comment on this blog post sharing one thing that has changed for you in the last 10 years to be entered to win! Winner drawn randomly on 8/9/2018. note – must have a US mailing address for any gifts and giveaways. Thanks so much for stopping by and celebrating with me! I can’t even imagine my 8yr old boy being 17 or 18! I’m sure it is fun to see them grown and matured though. 🙂 Thanks for stopping by and commenting! When you ask about chang,e kids are the easiest thing to measure. While I feel the same, I know I am older because I now have a 20 year old, not a 10 year old. How did that happen? It is true… kids keep life busy and all of the sudden you look at the calendar and years have gone by! But at least they help create some wonderful memories. 🙂 Thanks for stopping by and commenting! Ha! I thought you meant with Stampin Up!. I was going to say the Thinlits/framelits!! Oh my gosh, that is so true! It is amazing how much has changed with Stampin’ Up! I look at the old catalogs and the projects in them and remember how cool I thought they all were. Now I look at them and think about how I would add this and that details to them. 🙂 And oh, the amazingness of the BigShot and thinlits! Thanks for stopping by and commenting! Is that all? Ha Ha! That is a lot of big changes in 10 years, but awesome ones to be sure. I’m glad for them because it started on the road to us being neighbors! Thanks for stopping by and commenting! My way of eating, for sure. I came from the standard American diet to keto a bit over a year ago, and I’ll soon transition to zero carb/carnivore for at least a little while. Ten years ago, I would have never believed that I would (or could!) give up sugar in all its tasty, tasty forms! It is amazing to see how far you’ve come and how much you’ve changed in the last few years. I’m so happy the diet has been helping you and I’m so impressed with your commitment to it. Hope the zero carb/carnivore diet goes well too! Thanks for stopping by and commenting! Well, I became a Christian in the last ten years and it has certainly changed my life for the good!!! Wow! That is quite a change and I know it can be so life altering! Congrats on such a positive change for you. 🙂 Thanks for stopping by and sharing! I will soon be a young 70 but do love crafting. 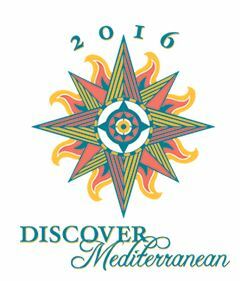 I discovered Stampin Up last May when I went to the Stamp and Scrapbook Expo in Orlando, Florida. While I was there I went to an all day Scrap to celebrate National Scrapbooking. I met some ladies who were Stampin Up Demonstrators and was hooked. I made my first purchase. I finally bit the bullet and became one myself. I do love all you ladies who share some many wonderful ideas for cards boxes and gift card envelopes. You are simply amazing. I am glad that so many young people are getting involved with such a wonderful craft. What an awesome story! Isn’t it such an amazing community? I know when life has gotten busy between state-to-state moves and kids, I thought about taking a break, but the amazing community and people is what has kept me going through those harder times. Welcome to the Stampin’ family! Thanks for stopping by and sharing! Have lots of fun creating and sharing. Ten years has changed a lot of things for me – my baby is now going into his second year of college, I’m finally in the job I’ve worked so hard for at a company I love, and I’m a grandma x2! My love for crafting hasn’t changed, and I’m still doing it with 5 other ladies that met 13 years ago. Congratulations! What amazing changes and for the better! Congrats on the job and the grandbabies. Sounds like lots of joy in your life right now. Hopefully it just keeps getting better and fuller. Thanks for stopping by and sharing! Ten years ago I was travelling more than I was home. In 2007 I spent a total of 6 months away from home on the road, much of it in Las Vegas! I don’t miss all the travelling. Congratulations on your 10 years! Although I’ve been stamping quite a while, I discovered a Big Shot and dies and embossing folders over the last ten years. Those have certainly broadened my cardmaking horizons. I remember when they brought out the BigShot – what a game changer! Now I can’t imagine not using it. 🙂 Thanks for stopping by and for sharing! I had cancer 6 years ago and that changed things BIG time. Thankful for each and every day! Oh my, that is a huge life change! Hopefully everything is going well with your health and in remission! Definitely reminds us to appreciate all the little things and each day. Thanks so much for stopping by and for sharing! First off, Congrats on your 10 year anniversary. What has changed for me in the past 10 years is that I am now a stamper! I have always made cards, but not with stamps until about 3 years ago. Oh and I am 10 years older, LOL. Oh wow, really? I can’t believe they are all so grown up now. 🙂 Its funny, I know my children grow but I often think of my friends children as barely older than they were when I first met them. I’m sure it is amazing though to see them older and more independant and living their adult lives. I’m sure it is quite a change. Thanks for stopping by and sharing! My life has changed, but we won’t go into that. As for Stamping, what I’ve noticed the most changes with is all of the machines. The Cricut has gone thru multiple incarnations and now everyone else is adding one. Even the basic old Cuttlebug is being reinvented. Maybe it’s all about making us consumers buy more stuff, not sure. You have had lots of life changes! I’m hoping for you, you get some settling and more stability over changes soon. 🙂 You are totally right, it is crazy to see all the machines and constant tweaks and changes they make. I haven’t been moved to upgrade my machine yet, but my mom has about 5-10 different machines at her house as they come out with new ones! Hope you are enjoying your supplies you have and getting to relax with them sometimes! Thanks for stopping by and commenting!